Watch the latest Eyewitness News newscast LIVE right here during our broadcasts. Eyewitness News This Morning | 4:30 a.m. - 9:00 a.m. 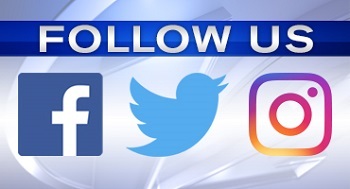 The Rhode Show | 9:00 a.m. - 10 a.m.
Eyewitness News at Noon | 12:00 p.m. - 12:30 p.m.
Eyewitness News at 5:00 | 5:00 p.m. - 5:30 p.m.
Eyewitness News at 5:30 | 5:30 p.m. - 6:00 p.m.
Eyewitness News at 6:00 | 6:00 p.m. - 6:30 p.m.
Eyewitness News at 6:30 | 6:30 p.m. - 7:00 p.m.
Eyewitness News at 10:00 | 10:00 p.m. - 10:30 p.m.
Eyewitness News This Morning | 6 a.m. to 8 a.m.
Eyewitness News at 6 | 6 p.m. to 6:30 p.m.
Eyewitness News at 10 | 10:00 p.m. - 10:45 p.m.
Eyewitness News at 11 | 11 p.m. to 11:30 p.m.
Eyewitness News This Morning | 6 a.m. to 9 a.m.
Eyewitness News at 6:30 | 6:30 p.m. to 7 p.m.